Bowyer started 16th and finished 13th. He climbed to ninth in the first five laps and moved to fourth by the lap-25 competition caution. During that caution Bowyer took four tires while several cars only took two or no tires, dropping Bowyer to 16th before the restart. A loose racecar and traffic prevented Bowyer from climbing through the field, and he finished the stage in 13th. Bowyer started 15th and finished seventh to earn four bonus points. Took four tires during the stage break, and the No. 14 crew made adjustments to improve handling. Moved to ninth by the halfway mark in the 200-lap race. Gained two spots in the closing laps of the stage to finish seventh. Bowyer started ninth and finished 12th. Dropped a few spots at the start of the stage before returning to the top-10 with 50 laps remaining. With 40 to go Bowyer reported his car wouldn’t turn as well as he needed it to turn. Pitted from 10th for four tires and fuel with 20 laps remaining. Race ran caution free over the final 57 laps. Harvick’s victory in the Consumers Energy 400 marked the 53rdoverall win for Stewart-Haas Racing (SHR). It was the organization’s 48thpoints-paying Monster Energy NASCAR Cup Series win and its third at Michigan International Speedway in Brooklyn. SHR swept the Monster Energy NASCAR Cup Series races at Michigan in 2018. 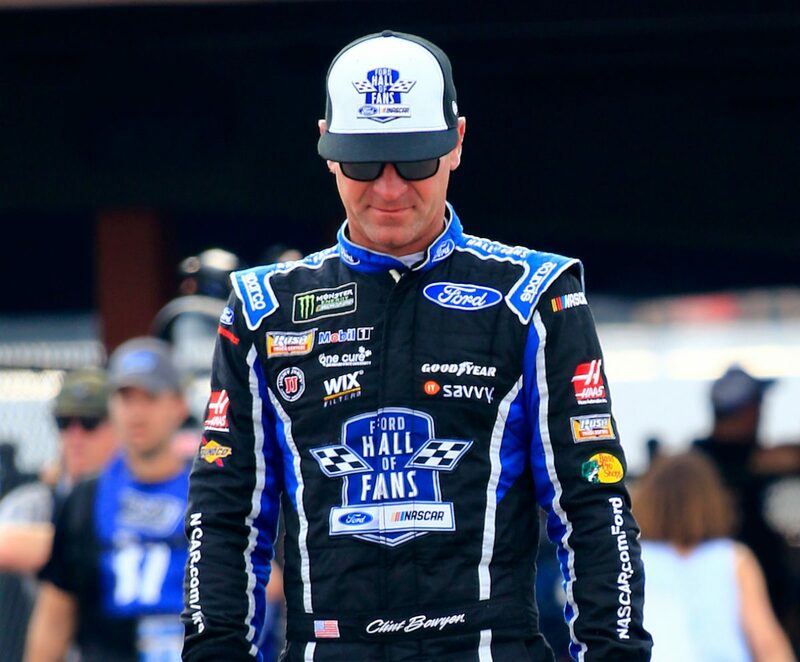 Clint Bowyer won in the series’ June visit to the track. This was SHR’s 12thMonster Energy NASCAR Cup Series victory with Ford. The team won its first race with Ford when Kurt Busch captured the 2017 Daytona 500. This was Bowyer’s 16thtop-12 finish in 22 races in 2018.